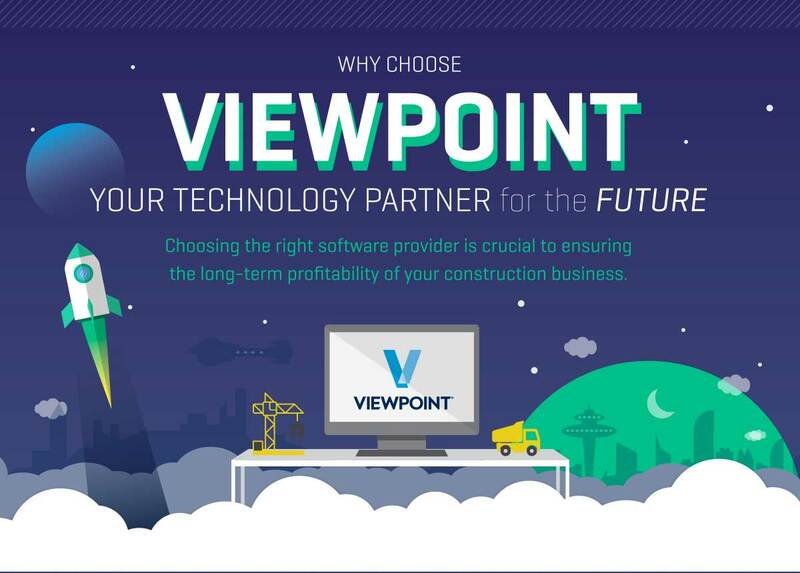 Why Viewpoint + CDP are your technology partners for the future. Would you be more efficient if you didn't have to enter the same information into multiple systems? Do you need to get your office staff on the same page as your people in the field? Most importantly, do you have the data you need to make the best decisions to grow your business? You need a technology partner that will grow with you, one that's always innovating and improving its products to meet your changing needs. Read on for a few examples of how Viewpoint and CDP can be your partners for the future, and why Spectrum software might be a great fit for your company. Fill out this quick form to have a Viewpoint product expert contact you. Cloud-enabled and mobile friendly, Spectrum lets you manage your work from wherever work takes you. Spectrum delivers complete business management for construction companies. A collaborative and cloud-based platform that connects the back office with field operations and the extended project team of subcontractors, materials suppliers, architects, owners and more. Watch the video to see how seamless the integration is. Service Tech is an easy-to-use mobile solution that simplifies administration and provides all the tools and information required for field technicians to focus on the physical work instead of paperwork. Service managers get real-time data flow between the field and office, as well as, streamlined and scalable operations that are consistent across work orders and technicians. Cloud-enabled and mobile friendly, Payroll Time Entry allows supervisors to approve or dispute time cards, get employee signatures on time cards, enter production units, equipment time in the field. And it all syncs automatically, in real time. 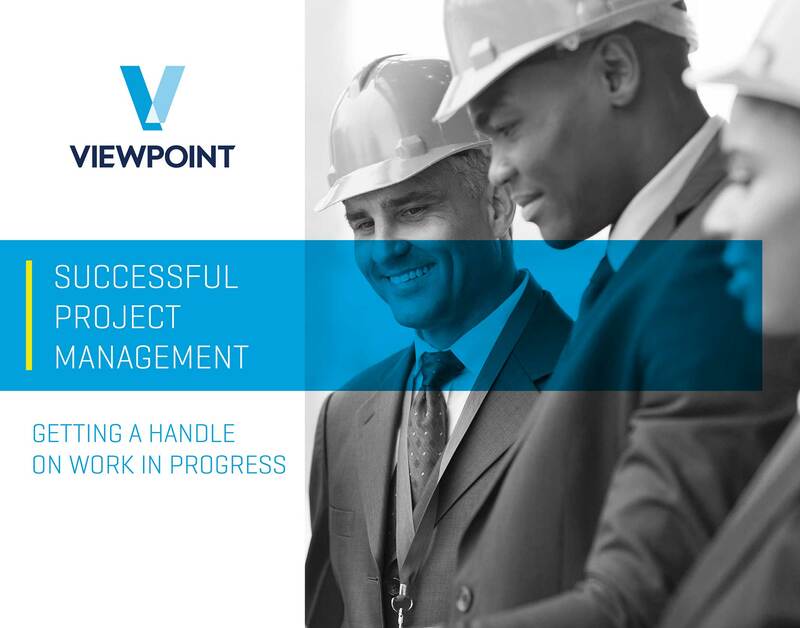 Viewpoint Team, a project collaboration tool that allows your internal organization along with external contractors, subcontractors, architects, engineers to all collaborate on one cloud-based tool that also integrates with Spectrum. Christenson employees discuss how they have used Spectrum to manage every aspect of their business, from financial to project management, work orders, invoicing and more. Helmkamp was struggling with job cost accounting controls, and had to keep adding staff to cover the extra work needed to stay on top of time & materials billing processes. 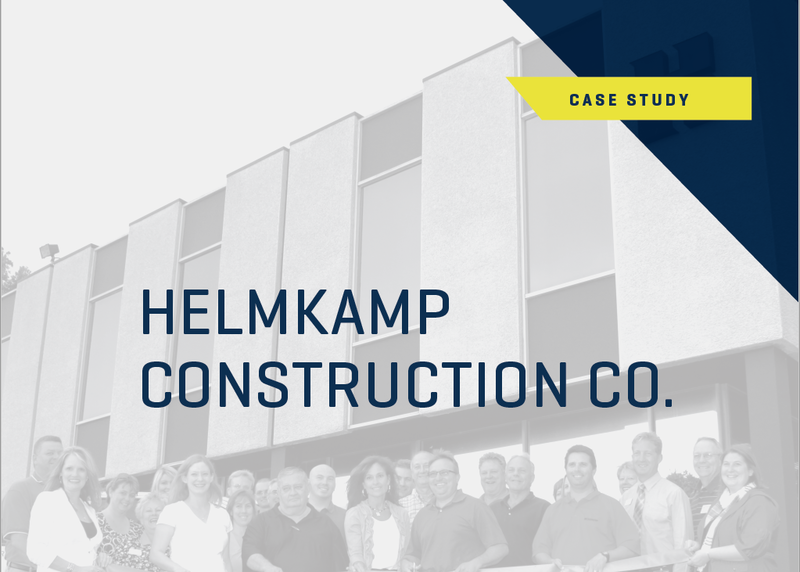 Spectrum’s integrated T&M billing and other cash flow and profitability management features made it the perfect choice to help Helmkamp focus on growth. 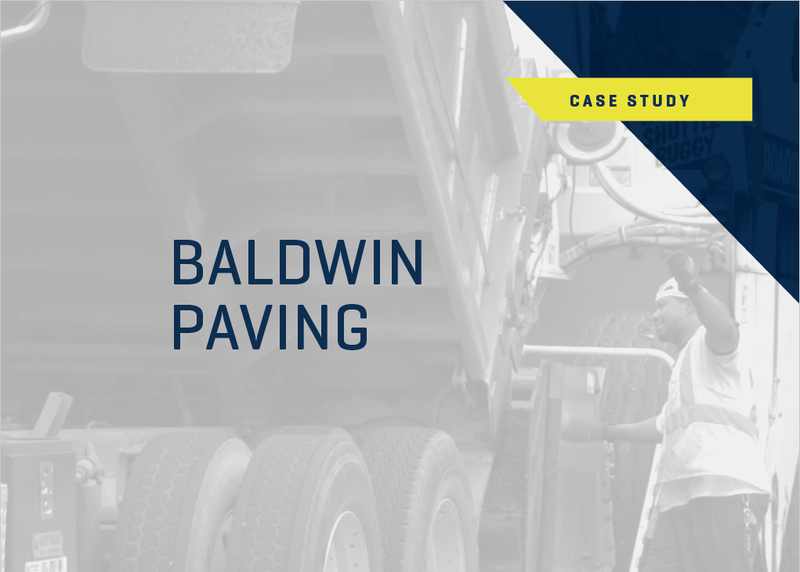 Equipment is the lifeblood of Baldwin’s business. But their equipment tracking basically amounted to asking the shop manager how much he thought it cost to keep a piece of equipment. Spectrum offered the right solution so they could stop guessing and start knowing if they were making money on a piece of equipment. 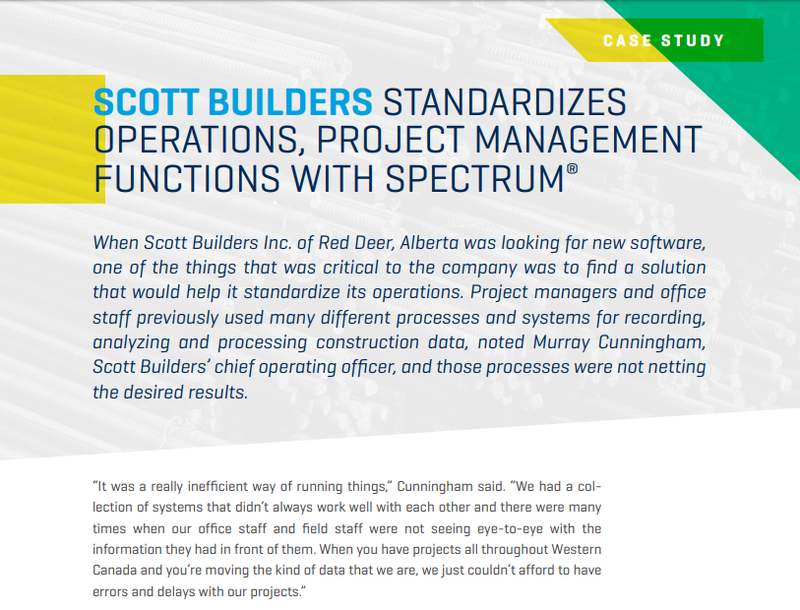 With projects scattered across western Canada, Scott couldn’t afford the errors and delays that came with inconsistent data from a hodgepodge of disconnected systems. They needed one source of truth for all of their projects to get their office staff and field personnel on the same page. Spectrum fit the bill perfectly. 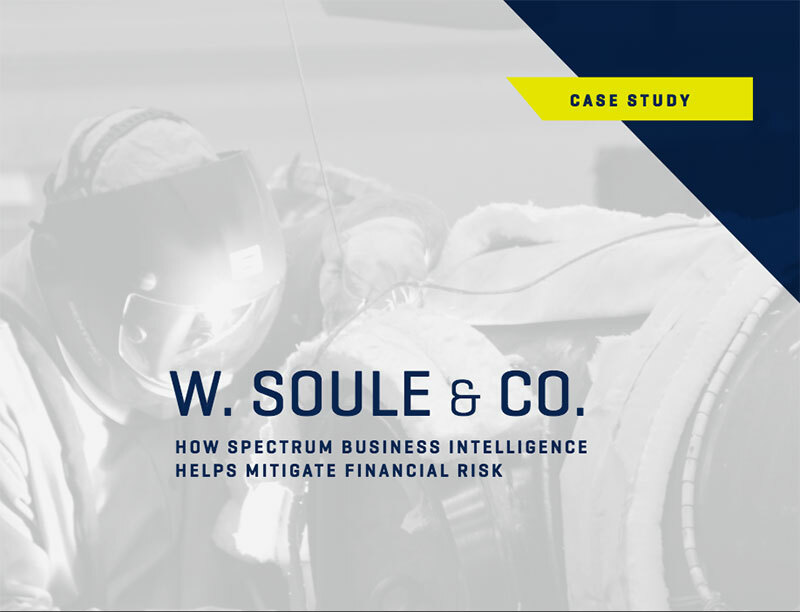 Managing a multi-trade contracting operation made it extremely difficult and time consuming to compile the detailed, specialized financial and project reporting that W. Soule needed. But Spectrum’s Business Intelligence module made it easy and intuitive. 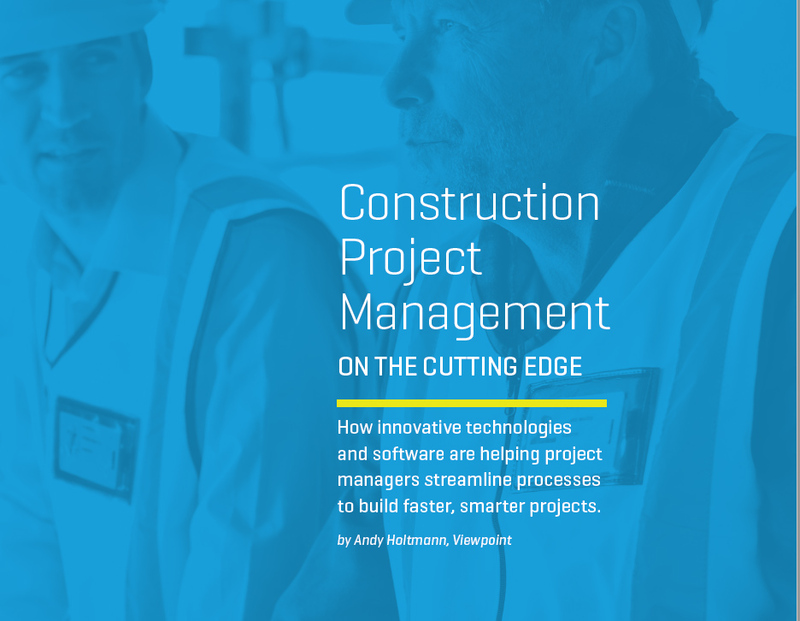 One of the keys to boosting construction efficiency and productivity is finding and using the right construction software. But poor technology decisions can create more headaches. In the vast landscape of software options, how do you know what you really need? 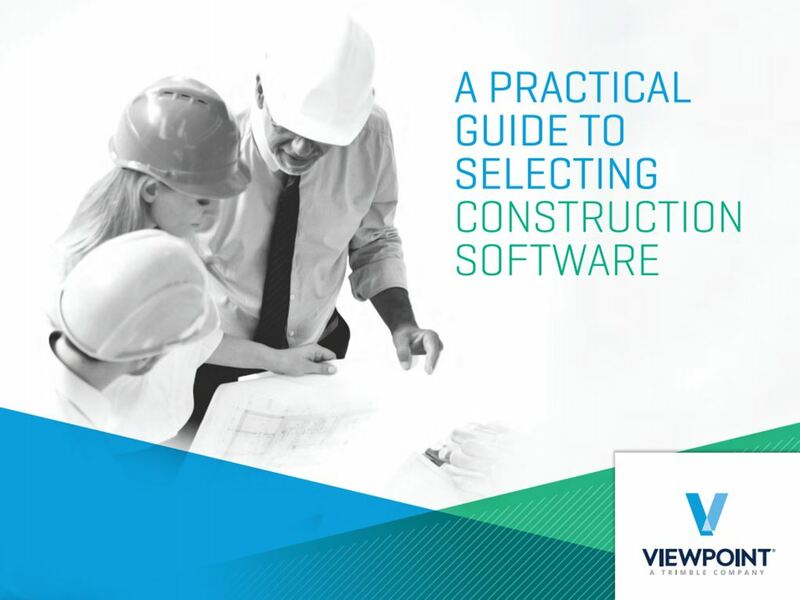 This guide will help you understand how to make the right construction software decisions for your team and your business. When change orders happen, they can disrupt productivity, cause schedules to get behind and expose your business to financial risk. Using the right tools, keeping up-to-date information, and frequent communication are key to keeping a project on time and within budget. 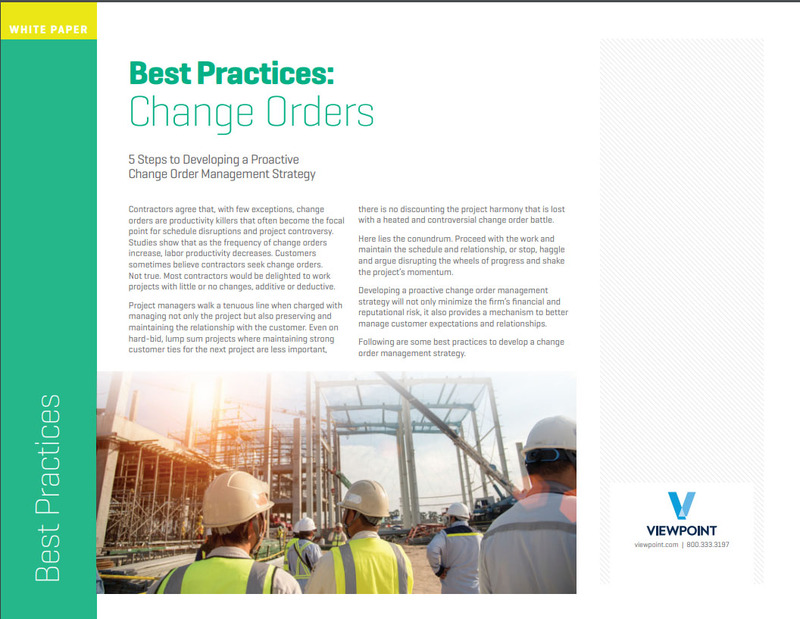 Download this whitepaper to learn five steps to manage and reduce risk when change orders happen. Paperwork is more than just a headache, it’s also a liability. 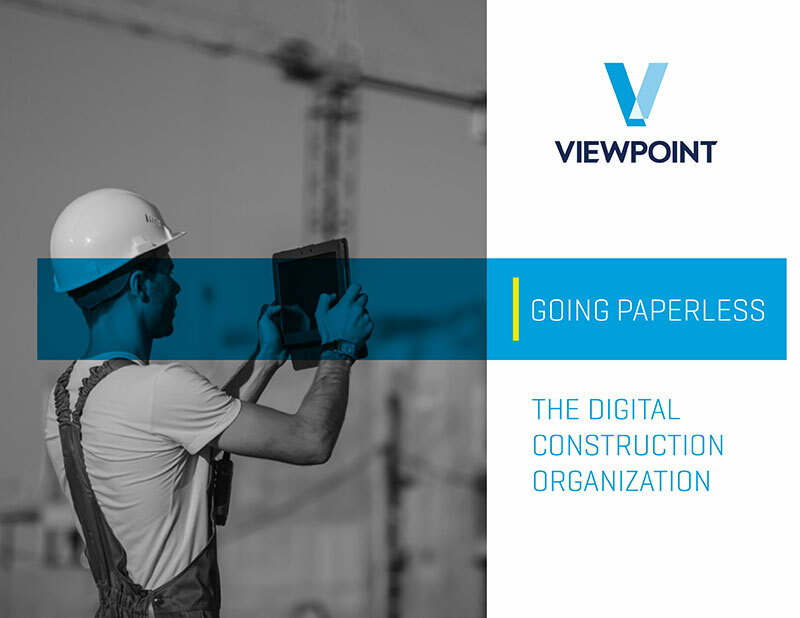 With 50 percent of project management teams still using manual processes, there’s much to be gained by adopting construction specific technology to go paperless. 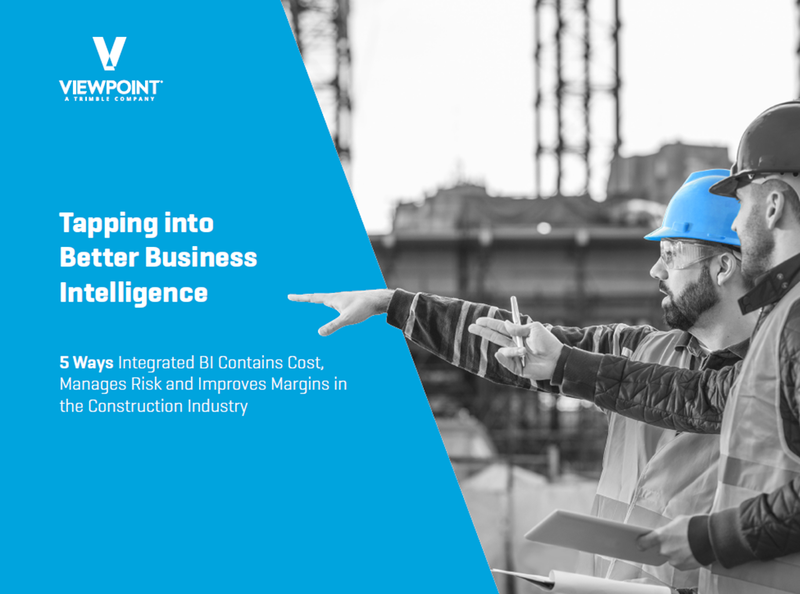 Learn 5 ways integrated BI contains cost, manages risk and improves margins in the construction industry. Getting information from the field team to office personnel quickly and accurately cuts down on financial reporting mistakes and helps firms better allocate resources.